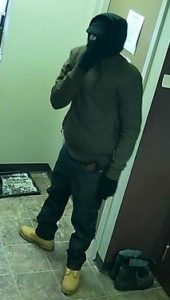 (Ottawa)— The Ottawa Police Service Robbery Unit is investigating the robbery of a financial institution yesterday. Charges have been laid against one suspect and two others remain outstanding. 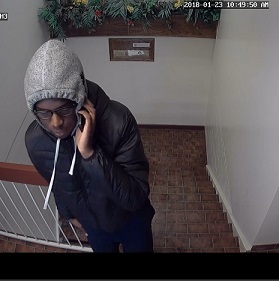 On January 23, 2018, at approximately 10:55 am, three suspects gained entry to a bitcoin related financial institution situated along the 0-100 block of Concourse Gate. The suspects, armed with handguns, gained control of, and bound, four employees. A fifth employee was in another office and contacted Police. The suspects fled empty-handed. Officers arriving in the area observed one suspect running into a ravine area north of Colonnade Rd. Extensive resources were deployed to the area and that suspect was later arrested without incident. The two other suspects remain at large. One victim was struck to the head with a handgun and required additional medical attention at hospital. St-Hilaire will appear in court on January 24, 2018. Police are looking for two additional suspects, both described as black males. Investigators are also interested in identifying and speaking to a person of interest that was inside the premise as the suspects arrived. That person did not remain at the scene. Police will be back in this area today searching for additional evidence. Anyone that observed any suspicious persons or activity in that area yesterday morning is encouraged to approach or contact Police. 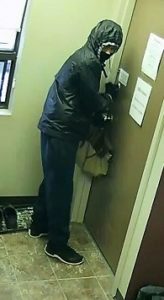 Anyone with information regarding this robbery, or any other robbery, is asked to call the Ottawa Police’s Robbery Unit at 613-236-1222, ext. 5116. Anonymous tips can be submitted by calling Crime Stoppers toll free at 1-800-222-8477 (TIPS), or by downloading the Ottawa Police app.